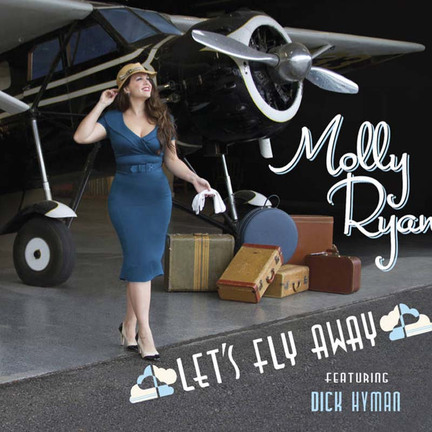 A perennial favorite at chic Manhattan nightspots, Molly Ryan has been artfully recapturing the faded era of the foursquare, swinging band singer for close to two decades. In the tradition of Helen O’Connell, Helen Forrest and Kitty Kallen, she navigates a breezy pop-jazz groove, favoring material as vintage as her style. Stringing together travel-related tunes-a popular trope of the 1950s, explored by Sinatra, Rosemary Clooney, Bing Crosby, Patti Page and Margaret Whiting, among others-Ryan’s playlist spans 14 selections, the most recent of which dates to 1958. Since such songs tend to be as fluffy as cumulus clouds, the closest Ryan gets to soul-searching is J.C. Johnson’s forlorn “Trav’lin’ All Alone.” The rest of her travelogue bounces between warmly wishful-the creaky “Beyond the Blue Horizon,” charming, obscure “Wanderer” and Whiting-associated “Far Away Places”-and such overripe tropical ditties as “Flying Down to Rio,” “A Rainy Night in Rio” and “South Sea Island Magic.” Best are her sparkling interpretation of Cole Porter’s urbane “Let’s Fly Away” and silken reading of Frank Loesser’s tender “Anywhere I Wander.” Weakest is a surprisingly pallid “The Road to Morocco,” on which Ryan partners with Canadian trumpeter and vocalist Bria Skonberg but fails to capture the playful bonhomie of the Hope-Crosby original. 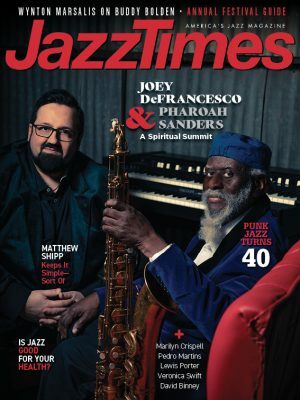 Ryan’s longtime musical compatriots, trombonist Dan Barrett and saxophonist Dan Levinson, share arranging duty, shaping tinkling charts that could use fewer burlesque curlicues and a bit more Billy May beefiness.